Talk about a last-minute perk-me-up! It’s no surprise that sheet masks are all the rage in beauty routines, all thanks to Asian skincare like K-beauty and J-beauty. One of the best things about them is that you don’t need to lock yourself in your bathroom to plaster a sheet on your face; these convenient, purse-handy skincare products can help give you an instant fresh face for when you need a perk-me-up, like before a night out, or en route to the airport—or even during your long-haul flight. If you’re the type who loves making time to take care of herself or simply enjoys the benefits of hydrating sheet masks, try the My Beauty Diary sheet masks from Taiwan. Popular among beauty girls from Taiwan, Hong Kong, and Singapore, My Beauty Diary currently has two different sheet mask variants available in the Philippines to suit your skincare needs. 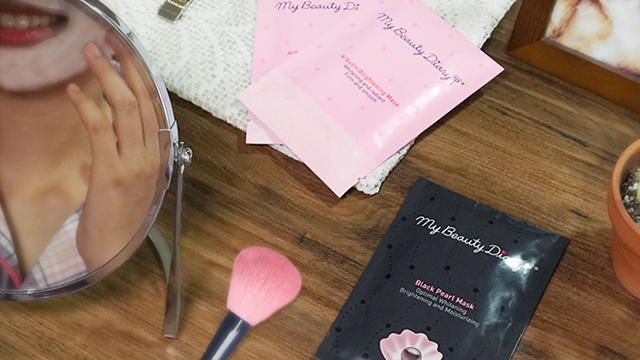 The My Beauty Diary Black Pearl Sheet Mask is a quick fix for dull-looking skin. It’s infused with Tahitian black pearl extracts that restore luster and nourish the skin with vitamins and amino acids, and it has deep sea red algae and Malvasylvestris extract to condition skin from dryness. It also has pineapple, cucumber, and lime extracts to help restore your natural glow and minimize dark spots, as well as citric acid to gently remove dead skin cells to leave your face feeling soft and smooth. 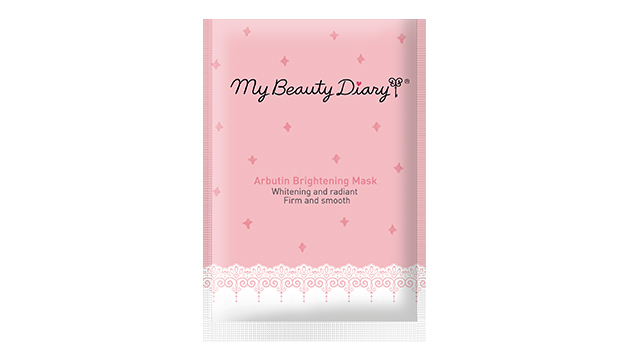 If you’re aiming to make your skin look brighter, go for the My Beauty Diary Arbutin Whitening Sheet Mask. Arbutin is a popular whitening ingredient derived from antioxidant-rich uva ursi plant extract. This sheet mask also has extracts from Japanese cherry blossoms and licorice to help soothe the skin and pineapple and apple essence to help promote skin cell renewal and reveal radiant-looking skin. Take your sheet mask session to another level by having one after a workout or sauna session while your pores are open, allowing your skin to absorb the serum better. The rejuvenating glow your face needs is just around the corner—literally. No sheet mask in your bag when you need a last-minute glow-up? Taiwan’s most popular My Beauty Diary sheet masks are now available at 7-Eleven convenience stores. My Beauty Diary sheet masks are now available at 7-Eleven convenience stores in Luzon. For more information, follow 7-Eleven Philippines on Facebook.